The Stone Soup Music Festival and Street Faire is a two day music festival in Grover Beach, CA. The annual event takes place the last weekend in August each year with live music, food, arts and crafts. There will be world class musicians performing on two stages ensure music flows uninterrupted from 10 am to 9 pm on Saturday and from 11 am to 5 pm on Sunday. The Mardi Paws Dog Parade is scheduled for 11:30 am on Sunday. Dog owners are encouraged to dress their canine companions for a parade. All entries will receive a participation ribbon and awards will be given for Best Dressed, Most Original, Most Colorful and Dog/Owner Look-alike. 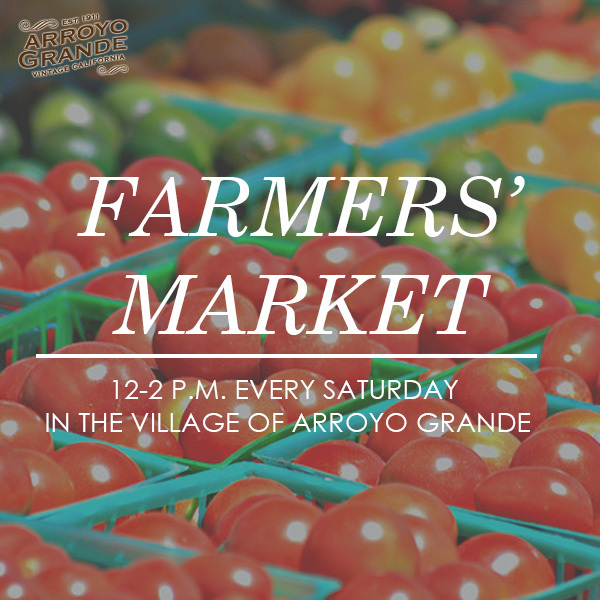 12-2 p.m. every Saturday in the Village of Arroyo Grande.